If you are having issues with your test users executing applications (VSI.exe / Memory Eater, or others) you have the ability to make a modification to the registry to prevent the "Would you like to allow this application to run dialogue box". This can be added as a registry import in the NETLOGON script, or can be added via a user profile management solution or group policy. Please be aware this disables all zone checking for any application for the particular user it is executed for. 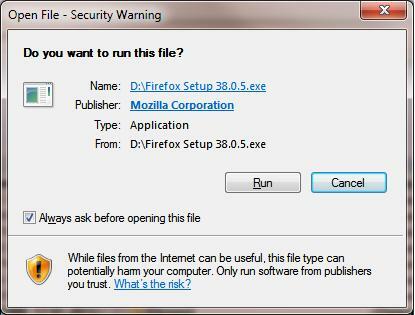 Executables running from network locations can cause this prompt, and in doing so will derail the automation necessary to start applications, specifically VSI.exe. Add the registry key using the batch command Reg Add. You can also manually create a registry entry, and then export and import it through the regedit.exe application. Note: You need to make the changes, export the .reg file, and in most instances specify the location of the registry file. /S switch is for silent.